This innovative program challenges the university’s students to design and build a working, bench-scale device that solves a practical problem in an environmental area. Students that participate in the challenge learn about engineering design, project management and teamwork while attempting to develop an effective and commercially viable device. This year students were challenged to develop a working portable wind turbine that could be used to power equipment for marine research around remote coral reefs. 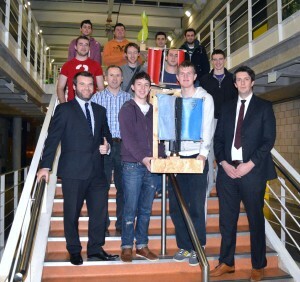 Representatives of the University, Noonan and Evolution Environmental formed the Judging panel. Speaking about the program Dr. Tom Curran, UCD Lecturer and co-ordinator of the Biosystems Engineering Design Challenge said “Multi-disciplinary teams had to work on solving a real-world problem within particular constraints such as time, budget, device dimensions, materials and system performance. The students have done really well to build low cost micro wind turbines that can produce electricity using recycled materials. The problem solving, teamwork and communication skills developed through this module will be of benefit to students not only in other courses but also in their future careers”. 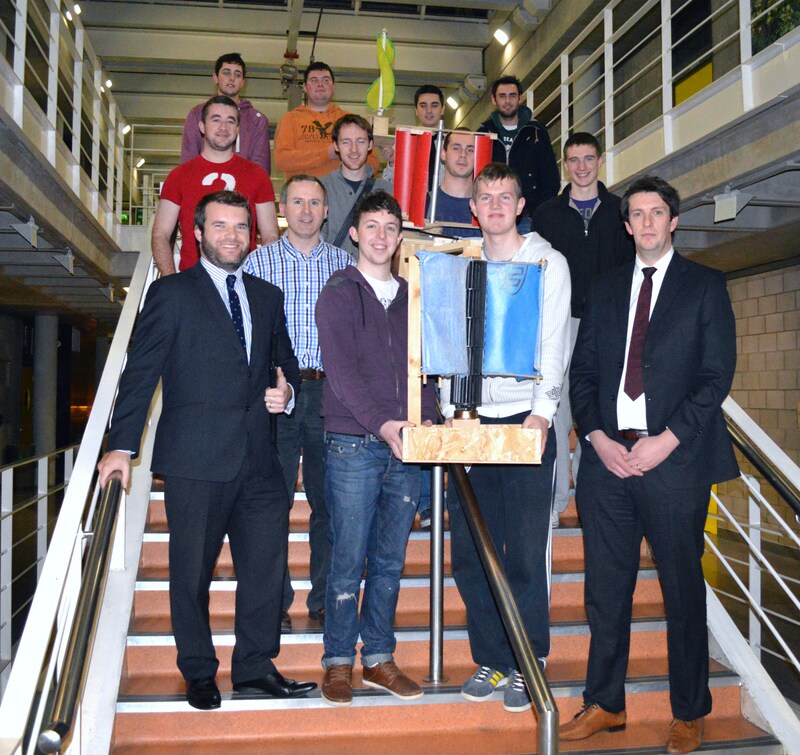 Commenting on the sponsorship of the program Michael O’Dwyer, Director of Operations, Evolution Environmental said “Together, EES & Noonan are delighted to sponsor UCD’s Biosystems Engineering Design Challenge. This innovative program challenges UCD’s brightest students to design and construct sustainable solutions to everyday problems. We congratulate the winning teams and look forward to supporting the program in 2014”.